Sign up for Broadjam today to follow Chase T, and be notified when they upload new stuff or update their news! 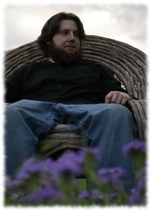 Solo acoustic guitarist based out of Austin, Tx. My songs convey a wide range of emotions, from down trodden longing to wistful melancholy. I write these songs because I can't really sing, but I still want to be able to move people the way I've been moved by music, especially lyrics. Leaving the canvas blank on these songs I allow the listener to write their own story, let the song take them where it will.